Should You Spot? Maybe Not. 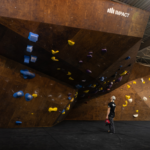 During a typical evening bouldering session at any climbing gym in the country one will find many people sitting on the ground around a boulder while a climber attempts to throw themselves up their latest plastic project. Many climbers find this scene absolutely irresponsible and reckless; people should be spotting each other when bouldering! Well, in modern gyms it seems they shouldn’t. 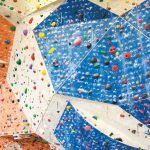 The Climbing Wall Association has put out an excellent article on the effectiveness of spotting within bouldering areas. They conclude that in facilities that offer sufficient padding, spotting is unnecessary and can actually hamper the effectiveness of the padding leading to more injuries than would otherwise occur. In order to examine spotting in its proper context, we must first understand its purpose. When asked, our industry experts unanimously defined spotting as a means to protect a climber’s head and neck from impact with the ground/floor. “Spotting is for the purpose of protecting the head and neck area. 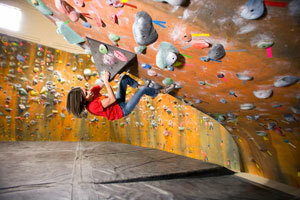 In 25 years of operating climbing gyms I have never seen a head injury in a gym while bouldering. For the life of me I cannot figure out why you would need to spot anyone with 12 inches of foam as the landing surface. Spotting will never eliminate broken ankles and wrists. It is not designed for that,” said Rich Johnston of Vertical World in Seattle. Utilizing this definition and context, we can infer that spotting in an indoor bouldering environment is not primarily intended to prevent ankle and wrist injury (two of the most common indoor bouldering injuries). 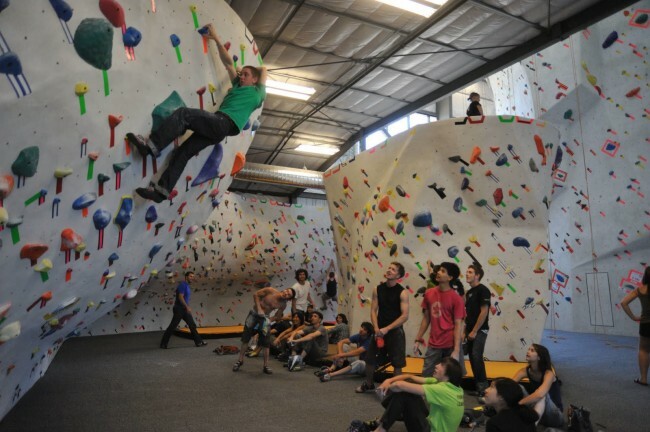 Bouldering onlookers crowded in close proximity to a climberʼs landing zone may cause pinning resulting in deactivation of the flooring systemʼs ability to properly absorb the impact force of a falling climber. The presence of a spotter introduces the possibility of a collision with a hard foreign object, which is one of the leading causes of injuries in bouldering areas. Spotters who are not properly trained (similarly to gymnastics coaches & martial arts instructors) may potentially cause more harm than protection to a falling boulderer. From Climbing Bouldering Techniques (excerpted from The Art of Falling – bouldering orientation video). “In most climbing gyms, there is not a spotting program that goes far enough in teaching how to spot a climber adequately. There are only a few situations in a bouldering area, such as a steep cave that is low to the ground, where someone can safely spot someone. Once a climber is higher on wall, it’s safer for the spotter to stay out of the way, unless they are very skilled at spotting. It’s a lot more than just catching someone coming off the wall. It’s a matter of redirecting them to land on a safe part of the body” said, Mike Palmer of Cascade Specialty. Possible topics covered in a spotting orientation may include, but are not limited to climber preference for a spotter, flooring type, fall zones, technique, awareness of the climber, awareness of difficult moves on the boulder problem, height of climber, and pitch of the route. Proper orientations should leave the climber with knowledge of why to spot, when to spot, and how to spot properly. If orientations do not achieve this, the opportunities for injury may be larger than if the orientation were omitted altogether. Most gym managers will weigh the facility design, flooring, time/staff commitments, efficiency, customer perception, and implications when considering the implementation of a spotting orientation. While the omission of orientation can be permissible for spotting, it does not apply in top rope or lead climbing scenarios. In our experience, the many considerations involved in spotting orientations implementation frequently result in their omission based on the risks versus the benefits. Even when spotting is used in the correct context, there are many effects to consider. Can the climber’s momentum injure the prospective spotter, adding to facility liability? 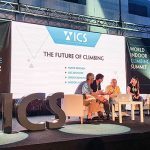 Alternatives If you choose not to introduce spotting to new climbers, then what should be implemented in its place, if anything? The near unanimous recommendation from our panel is to introduce proper falling technique. Implement a robust spotting orientation that addresses all of the purposes, considerations, and special cases involved in spotting. Omit spotting orientations from facilities on the grounds that spotting may not be necessary except under special circumstances. When implementing any new process, the CWA encourages gym owners to understand the purpose, commitments, and implications of such processes. If implementing a spotting program, facilities should ensure that the orientation meets its intended purpose: minimizing injury and facility liability. If omitting spotting orientations, facilities could choose to include bouldering orientation language covering falling technique. 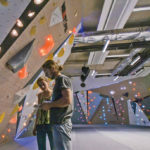 This was the most popular recommendation from industry experts for the purposes of minimizing liability (not adding a second person to a potential fall situation) and addressing the most common types of indoor bouldering injuries (ankle and wrist). 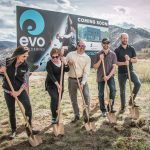 Read the full article at the Climbing Wall Association.